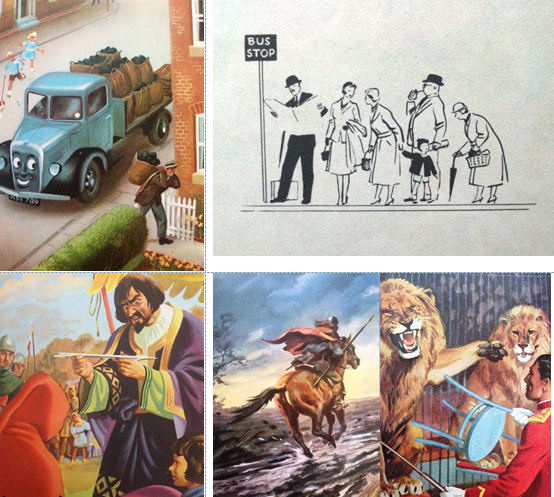 Ladybird artists: What’s so special about … John Kenney? Not long ago, I wrote about what it was that had led me to enjoy and appreciate the Ladybird artwork of C F Tunnicliffe. So, in a similar vein, here’s a very personal introduction to John Kenney. (This isn’t a biography – you’ll find one of those here). So – what (for me) is so special about John Kenney? Probably Kenney saw himself primarily as an artist specialising in equestrian scenes in his native Leicestershire. 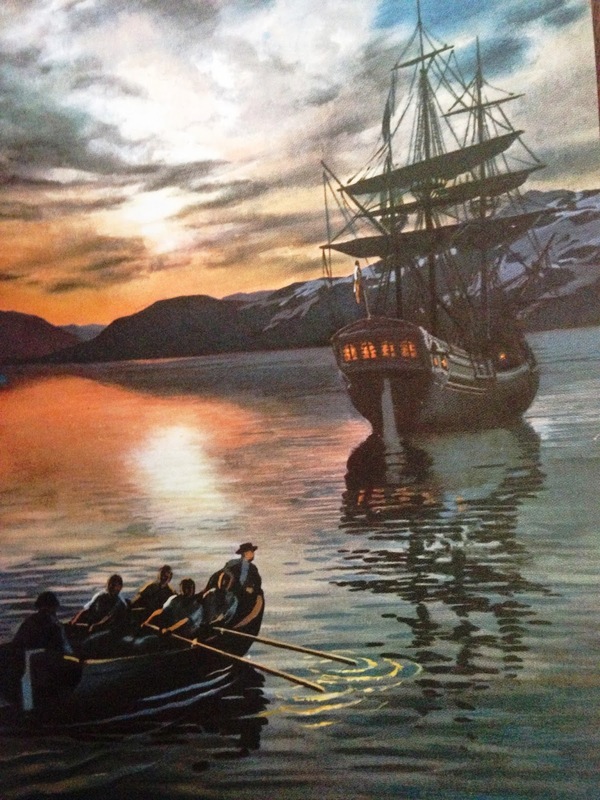 But it’s as the illustrator of Ladybird’s Robin Hood, The Circus Comes to Town, The History series books (most of them) and Tootles the Taxi that he is likely to be best remembered. He adopted such different styles in these different series. You could never say he was formulaic – and each painting style reflected the different intended reader and tenor of the text. Kenney teamed up with L du Garde Peach in 1956 to produce the first History book: ‘Alfred the Great’. Together they worked on a further 28 books (the last being ‘The Pilgrim Fathers’ in 1972) before the ill-health of both artist and author broke up the alliance. Peach approached the recounting of history with vigour and verve – matched perfectly by the energy of Kenney’s artwork. From letters I have seen, the two men genuinely liked each other and bounced ideas back and forth between themselves in the course of developing a book – each man keen to do the other justice in what the produced. 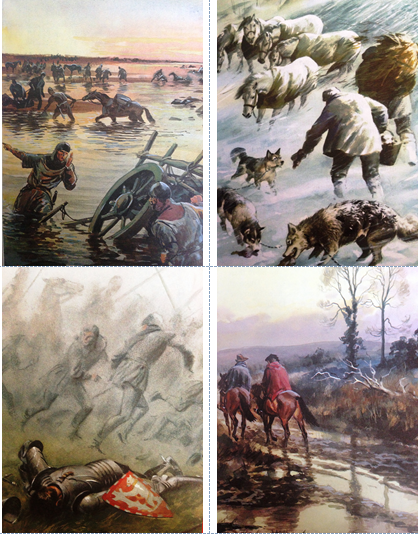 3) The mood and atmosphere of the ‘History’ books. 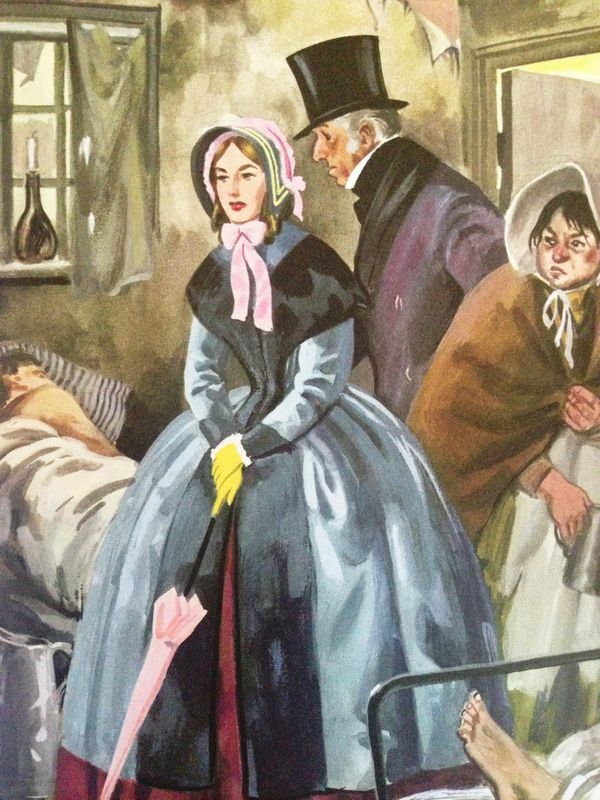 4) The joy of story-telling through pictures – especially through the facial expressions of characters. At times it’s this body-language which often carries ‘the plot’ more confidently than the text itself. 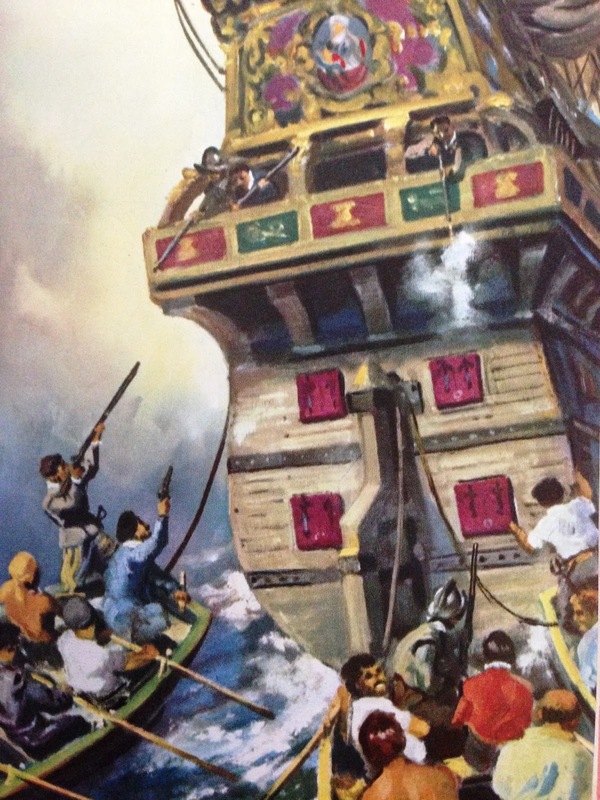 It’s always worth trying to get the oldest copies you can of the earliest books – when the colour-reproduction was most true to Kenney’s artwork. The soft blue hues of Alfred the Great, for example, give a far-away quality to the tale – and make me think of early films in colour. 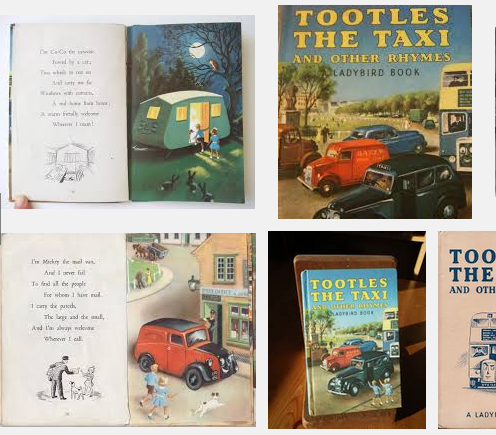 Who remembers Tootles as a Taxi as a child and doesn’t love this book? Kenney makes it look easy – but the blend of cute anthropomorphism and realistic street scene isn’t easy to achieve. Kenney, having honed this style on Tootles, went on to illustrate a number of the classic ‘Railway Series books’ (‘Thomas the Tank Engine’ books) for the Reverend W Awdry. Tootles the Taxi is among the all-time best-loved of all books produced by Wills & Hepworth. For this reason, it was the book chosen to be re-issued in facsimile as a farewell memento for staff in 1999, when the Loughborough works were finally closed down. 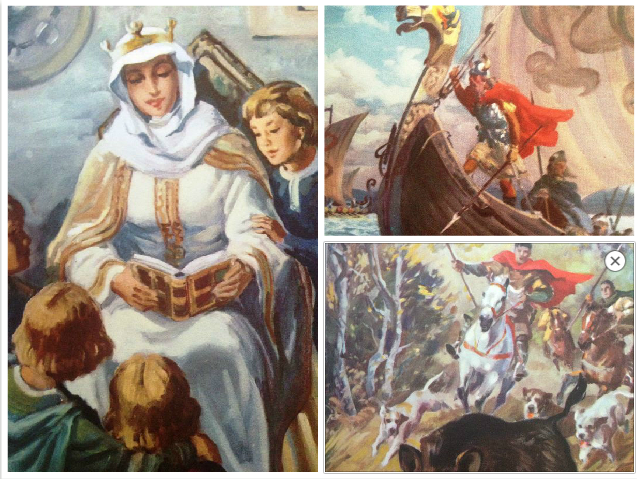 Some of the images from the History series books are among my earliest and most vivid memories from childhood. I looked at the pictures for a long time. Of course I did. 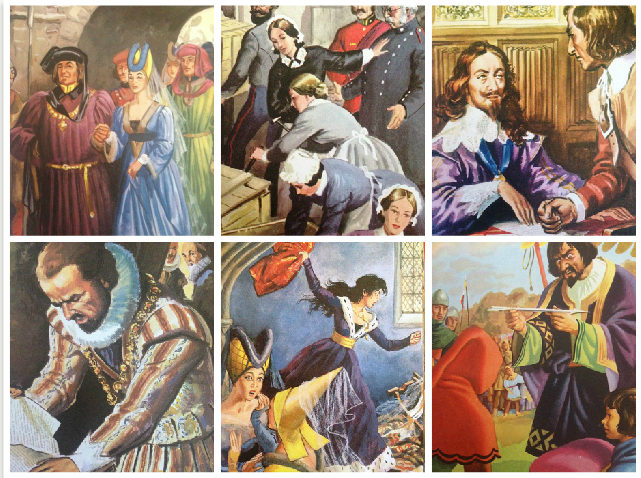 The pictures were crammed with detail, they were colourful and engaging. They demanded that I ‘read’ them as I read the text – and in this way they etched themselves on my memory. It was the pictures that hooked me in to the story. First the pictures, then the story, leading imperceptibly to an interest in history itself. Judging from the number of people who have, over the years, told me that their love of history, choice of degree subject or even career was influenced by these books, I was far from alone.